Equinix, one of the world’s largest operators of carrier-neutral data centers, is planning to spend $39 million (£29m) to expand its campus in Slough, on the outskirts of London. The LD4 International Business Exchange (IBX) facility will add another 3,300 square meters of colocation area – enough room to host more than a thousand server cabinets. The extra space is primarily aimed at the financial services industry, and is scheduled to open the fourth quarter of 2018. 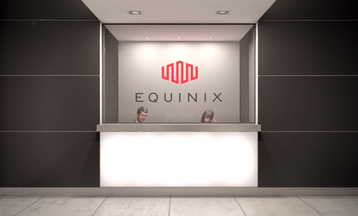 Equinix operates more than 180 data centers across 41 geographic markets – eight of them in London - and has long prided itself on serving a broad customer base, including financial sector organizations. The company says its data centers support “the world’s largest multi-asset class electronic trading ecosystem” that includes execution venues, trading platforms, market data vendors, service providers, buy-side firms and sell-side firms. LD4 was officially opened way back in 2007, taking advantage of ample networking options in Slough – a town with the highest concentration of data centers in the UK. The facility currently offers 10,000 square meters of colocation space, and houses approximately 3,777 cabinets. It already hosts organizations including Nasdaq, Thompson Reuters, Chicago Mercantile Exchange and LMAX Exchange, among others. “It is estimated that the financial and professional services industry contributes £176bn to the UK economy annually,” said Russell Poole, managing director for Equinix UK.